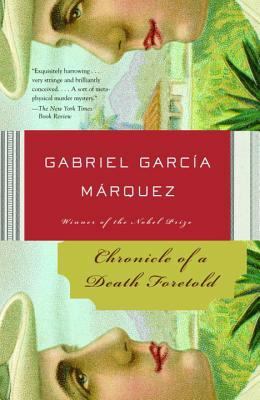 Chronicle of a Death Foretold by Gabriel Garcia Marquez is a unique novel created with magical realism setting. Magical realism is a literary style that generally describes works that combine fantasy with reality to create a mythical occurrence. Chronicle of a Death Foretold has many symbolic characters; their names have unique meanings that form the novel’s story. In this novel, instead of there being characters we can relate to personally and in real life, the characters are non-relatable due to their fantasy-like characteristics. In magical realism, things happen without a reason, similar to Santiago Nasar’s murder in this novel. This entire novel revolves around the murder of Santiago Nasar: why, who, what, where, and how it happened. The narrator tells the story from his point of view, talking to other people who were witnesses and are able to feed him extra valuable information about Santiago Nasar’s mysteriousness. Santiago Nasar was a confident man, until his death day arrived. Everyone in the town knew about his murder with an exception of him. A warning was sent too, but it was almost as if his karma did not let him see the signs. Santiago Nasar was oblivious to his own premeditated murder. I really recommend this novel to anyone who is interested in fantasy and fiction, but not necessarily the princess kind. This novel is not really dystopic, nor is it fantasy-containing princesses. However, it is a type of magical realism that will blow your mind with quizzical and thrilling mystery. Chronicle of a Death Foretold is available for check out from the Mission Viejo Public Library. This entry was posted in Book Reviews by Nirmeet Bhogill. Bookmark the permalink.